Teaching and learning before the holiday takes patience. Children, teachers, and parents keep busy with preparations and traditions. On top of holiday preparations, teachers at school usually need time do report cards before the end of the year because many schools will close the semester at nearly the same time as the holiday. Today I hope to help keep your little people entertained with fun Holiday Printables for Kids! Children can participate in the holiday celebration by doing the holiday printables that involve arts and crafts. The Arts and Craft printables will be useful for classroom or home decorations. Some fun activities, such as scavenger hunts, word works, and bingo, will be light activities to refresh vocabulary. Always explain directions before handling the paper to kids. Make sure they understand what to do and your expectation. Use colors to present the printables in the final result. The theme is the holiday, so some bright colors will be great to show off. You don’t always need to print them with the colored prints, but you can get kids to color. Display the finished printables in the classroom or home. Children feel great pride to see their work on display! You need to urge children to finish the holiday printables with good quality and within the expected time. It will teach children to be more responsible toward the time and the work itself. Organize several printables into transparent plastic holder or plastic binder so children can keep them nice or can reuse them with a dry-erase marker. 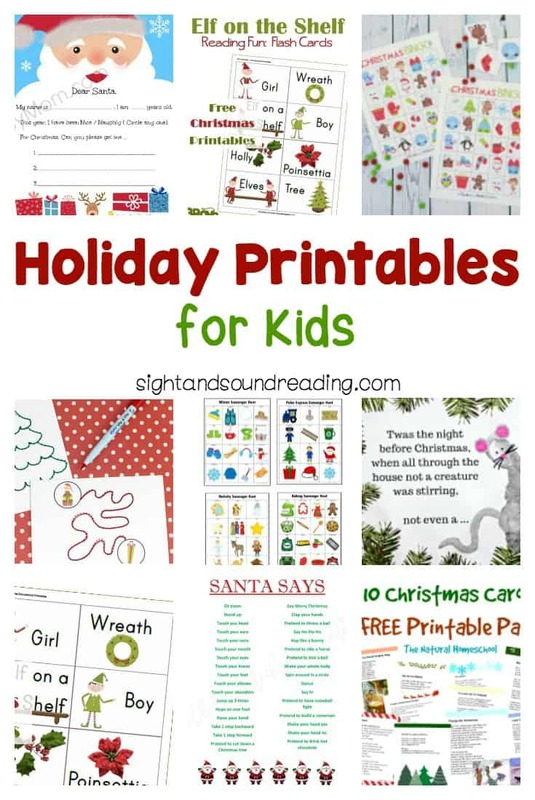 Here are some holiday printables for kids that you need to check out. Thanks for including our Gingerbread Math Facts worksheets in your list of Holiday Printables.